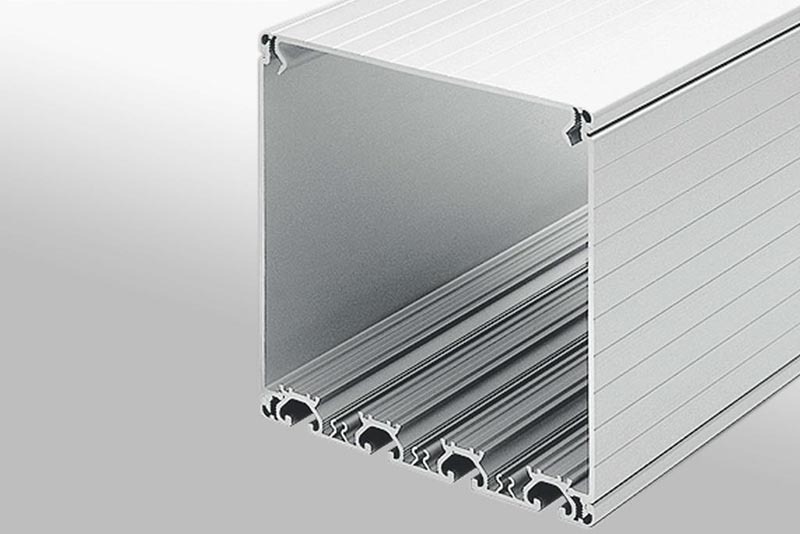 Conduit System SE has U-shaped aluminium profiles and a lid. Modular Conduit System has individual walls, lids and bases giving more versatility with the shape of the conduit. Conduit System K has U-shaped profiles and a lid. It is made of PVC, which can easily be cut to size with a pair of pliers or a similar tool. Each piece clicks together with the next. End caps are easily fastened into the screw channel in the corners without needing any machining. 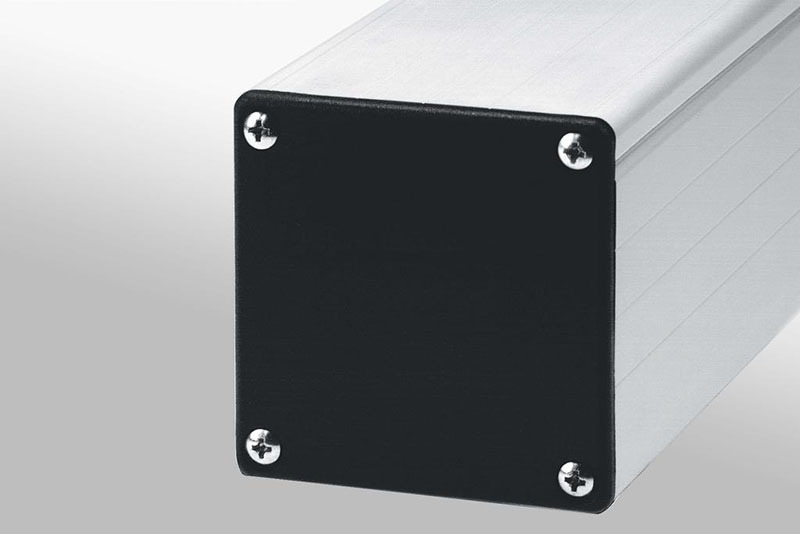 Secure the SE conduit to profiles or other components by drilling through the profile and fastening with a screw. 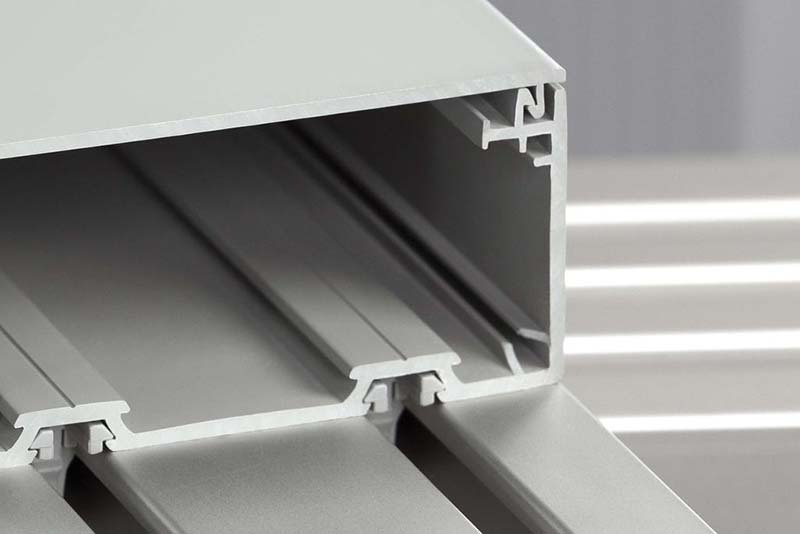 When fixing the conduit to aluminium profiles, use T-slot Nuts in the profile groove. 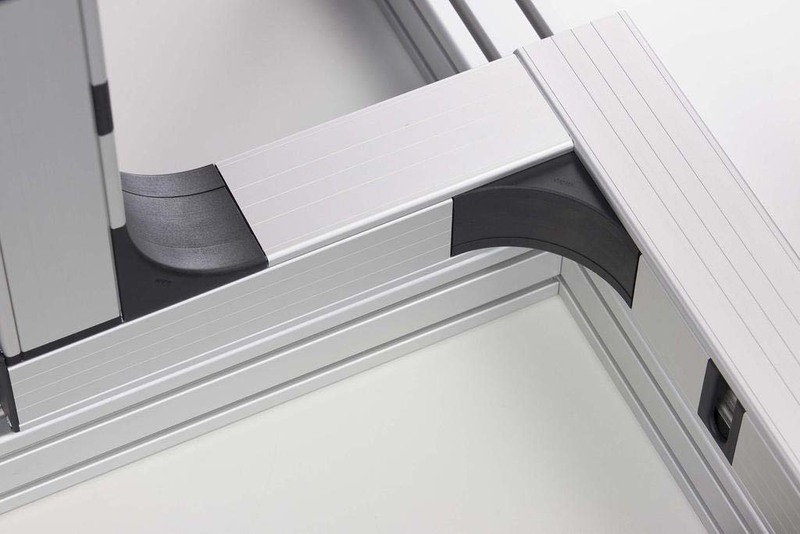 Support Profile With Grooves 8 gives a great option for fastening the conduit to aluminium profiles. Alternatively, a drill hole and a screw can be used. 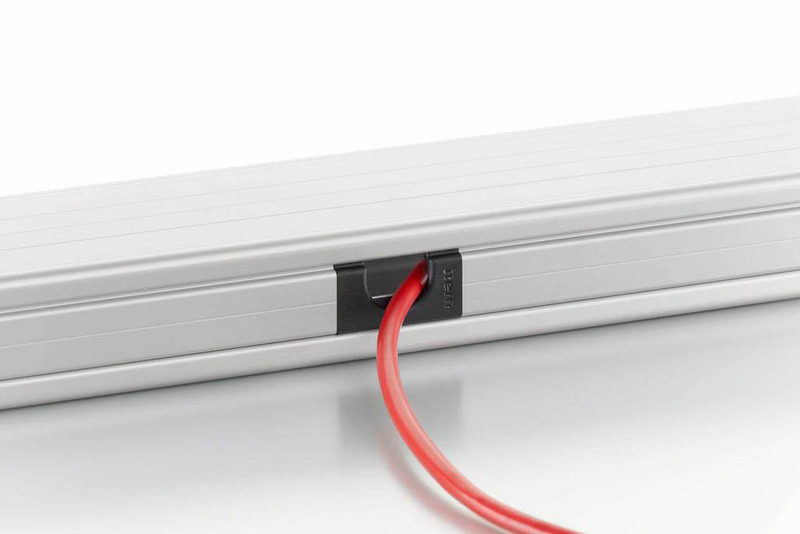 Use with the above Modular Conduit System to prevent kinks in the cables and protect both cables and hands. Use on either Conduit System SE or the Modular Conduit System. Installing a cable conduit couldn’t be easier: First, slide or push Clip 8 Conduit Profile K into Conduit Profile K. Second, simply press the clip into a Line 8 groove. It’s quick, clean, there’s no machining involved and the installation can be reconfigured at a later date. As the conduit is made from PVC, cutting to length can be done with pliers.